With this pattern you will make a long rectangle 2 inches less than your head circumference. Make a loop with the rectangle, fold it in half and the brim is done. 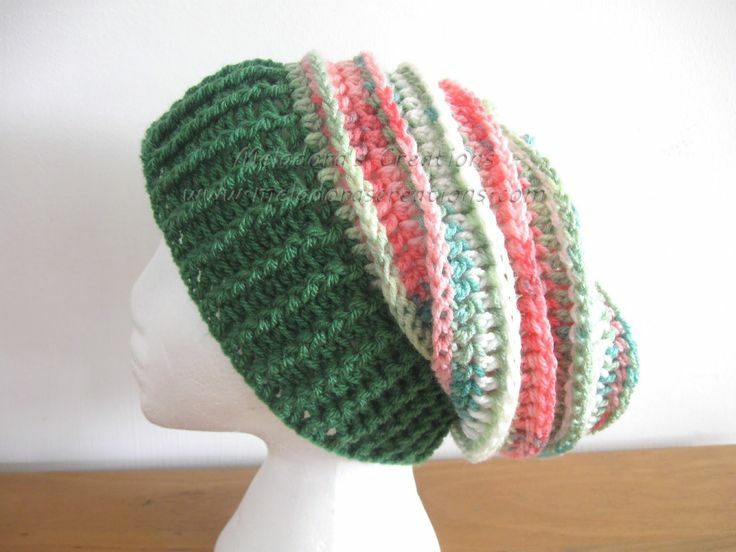 Then you crochet around the brim to form the hat. From that brim circle, cut a hole out of the exact center, using your head diameter and head circumference measurement. Tada! You have a brim pattern. Now we’re going to make the brim. I tried using thin plastic for the inside of the brim on this hat so it would be really washable. However, I recommend cardboard instead (which I used on the other hat). Make a row of chain stitches. For the XO Textured Toque, you will need 8 chains for a 7 stitch wide slip stitch ribbed brim in the child or adult size, but you may make the brim as wide or narrow as you like!